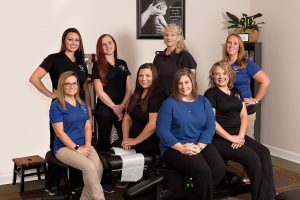 Here at Gordon Chiropractic in Terre Haute, Indiana, we want to be your coach in your health care decisions, giving you the information you need to allow you to make informed decisions about your health care. Please browse through our site to find out more about Chiropractic, Massage Therapy, and the incredible ability of your body to heal and strive toward health and wellness. Be sure to check out our current newsletter, as well. Call us at 812-460-1400 and begin your journey to wellness! New To The Office? You can click here to download our initial paperwork and fill it our prior to coming in.